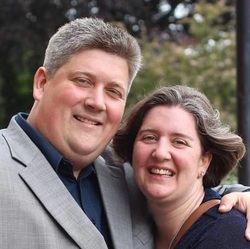 For the past 29 years they have been actively involved in church planting, teaching in Bible schools, establishing new ministries, and missions. Son of well-known apostle Johan Maasbach, founder of Johan Maasbach World Mission in The Hague, Robert is the sixth child of eight,and grew up in Gouda, The Netherlands. His father and mother planted churches throughout Holland,Belgium,and did missionary work all over the world. 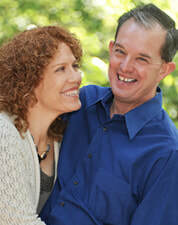 Robert started pastoring one of his father’s churches in Rotterdam at the age of 18, and married Virginia in 1983. Towards the end of 1986, they felt certain of God’s calling to leave The Netherlands and they moved to the UK. They began Life Church in their house in Folkestone, and Robert held evangelistic meetings throughout England. That church has grown and impacts the UK for Christ. Robert has travelled extensively throughout the world, speaking in independent churches and across all denominations. He has a great love for the Body of Christ worldwide,and is passionate about the simple gospel of faith through Jesus Christ. Host Benjamin Conway has been ministering the Word of God with signs and wonders following since he was 18 years old. His ministry is all about helping people see their dreams come true. Every person on planet earth has a God-given dream, and Benjamin wants to see yours come true. He has planted five thriving churches in the south of England and helped pioneer a sixth church. He is in demand as a teacher of God's Word travelling the world conveying the truth of God's word. Benjamin will teach the word in a powerful, yet humorous, way that will help you see how much God is on your side and wants your best. Benjamin is the author of three books: Rivers and Wells, The Open Bible and You Have A Dream.